Description: Digitization provided by the USF Libraries Digitization Center. Rare Maps. 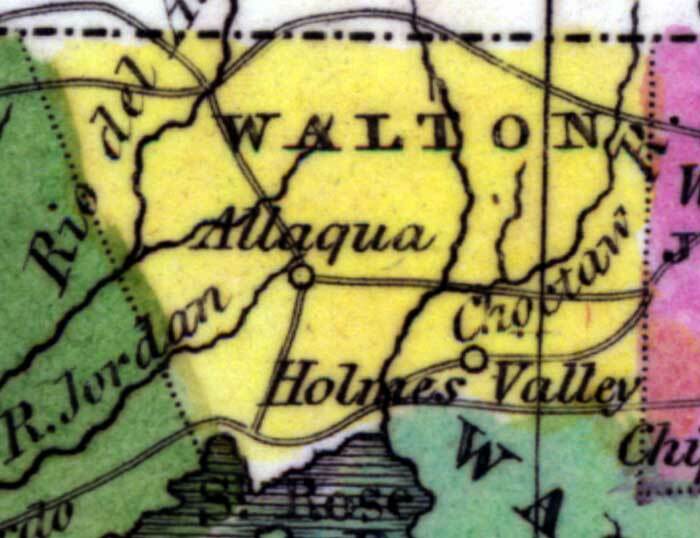 This is a detail map of Walton county circa 1834. It shows main towns and cities including Allaqua (Alaqua Creek). It also shows inland waters including Rio del Almirante (or as shown on the map as Amirante) which is the River of the Admiral dedicated to the Spanish Admiral Andres de Pez which is now the Yellow River.